1) Table Board Outer Size：24.5m with integrated structure, respectively of 15m*2.2m, 6.5m*3.7m. The relative breadboard size is of 18m*2.2m. The table surface subsidence is 0.7m. 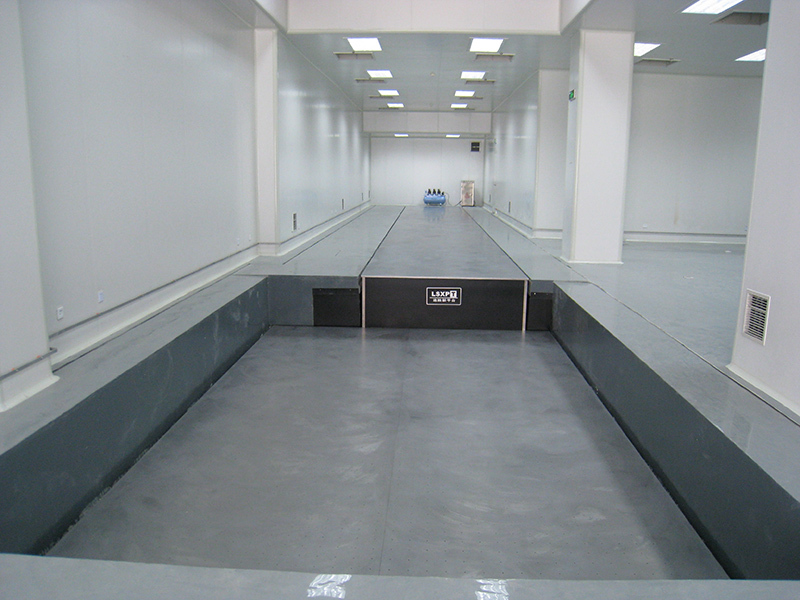 2) Working Platform: Precision stainless steel table top with roughness of 0.8μm and the unevenness is less than 0.12 mm/㎡. 3) Tailor-made threaded holes with specific size. 4) Total weight of the optical table is less than 120,000kg and minimum load capacity is 20,000kg, as per requested by the client. 5) Inherent Frequency: Less than 1Hz in vertical direction and less than 1.5Hz in horizontal direction. Maximum amplitude is less than 1μm.